Have a craving for fine cuisine? 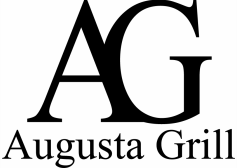 Augusta Grill is the perfect choice in Greenville for excellent food and exceptional service. We pride ourselves in being one of the most popular spots in the Augusta Rd./Downtown area to grab house specialties like our Jumbo Lump Crab Cake (which is only available every Wednesday night), Buttermilk Fried Sea Scallops, Sesame Crusted Seared Sashimi Tuna, Sauteed Black Grouper, Grilled NY strip and of course all our homemade desserts and so much more. Please keep in mind our menu changes daily, so please visit our menu selection to view the menu for the evening. Menus are uploaded by 6:00 PM. The gallery of our menu items may not be on our menu, but they were at one point, and quite often appear again. *Eating raw or undercooked meat or seafood can increase your risk of foodborne illness.